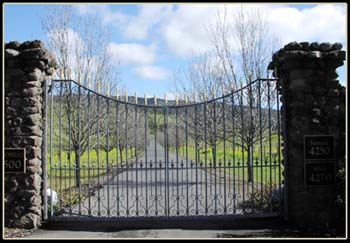 Custom designed bi-parting driveway gate with forged scroll in fill. 23k gold spears, faux finish. These gates are automated.